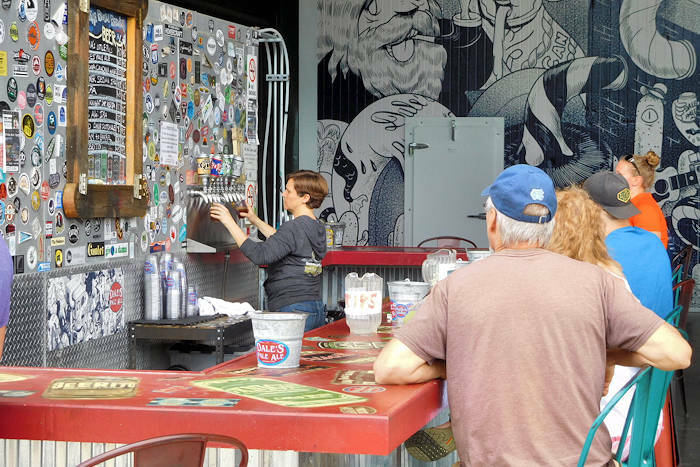 Stop by the Oskar Blues Brewery in Brevard for a tour and a flight of beer in the Tasty Weasel Tap Room. 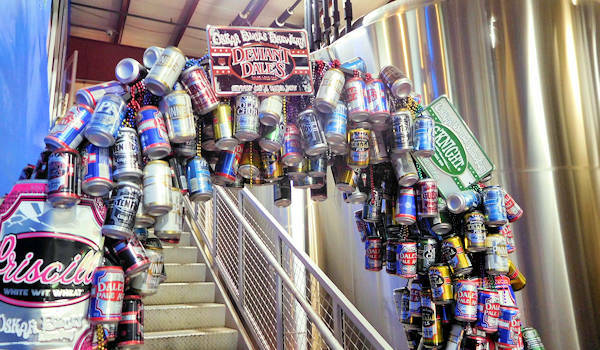 Founded in Lyons, Colorado in 1998, Oskar Blues was the first American craft brewery to can beer. Located in an industrial park a few miles from downtown Brevard, the owner Dale Katechis built at this location due to its proximity to Pisgah National Forest with great mountain biking and for the pure mountain water. 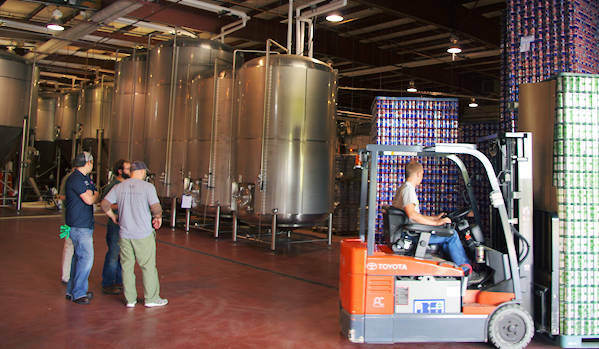 The brewery makes Oskar Blues beer sold in 19 eastern states. The Tasty Weasel Tap Room overlooks the sparkling-clean production floor and is open Monday-Thursday 12- 9 PM, Friday / Saturday 12-10 PM & Sunday 12-8 PM. 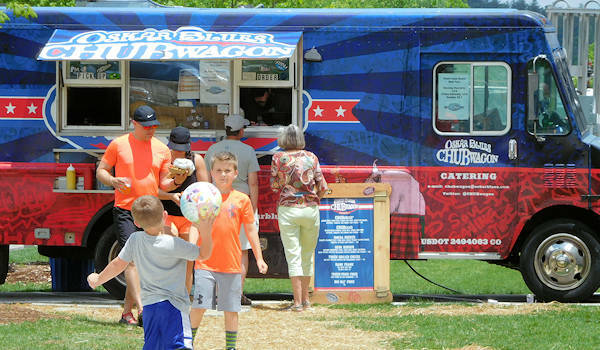 Outdoors, find another bar, picnic tables and their CHUBwagon food truck serving their popular burgers and tacos, Monday-Thursday 5-8 PM, Friday-Saturday 12-9 PM and Sunday 12-7 PM. Free tours of the production area are offered on Monday-Thursday at 5 PM and Friday-Sunday at 2, 3, 4 and 5 PM. Dale's Pale Ale was Oskar Blues' first beer. It is somewhere between an American pale ale and an India Pale Ale brewed with European malts and American hops. Dale's Pale Ale started the American craft-beer-in-a-can movement. Cans keep beer fresher, longer by eliminating the damaging effects of light and ingressed oxygen while being infinitely recyclable and portable - perfect for outdoor adventures. Address is 342 Mountain Industrial Drive, Brevard. 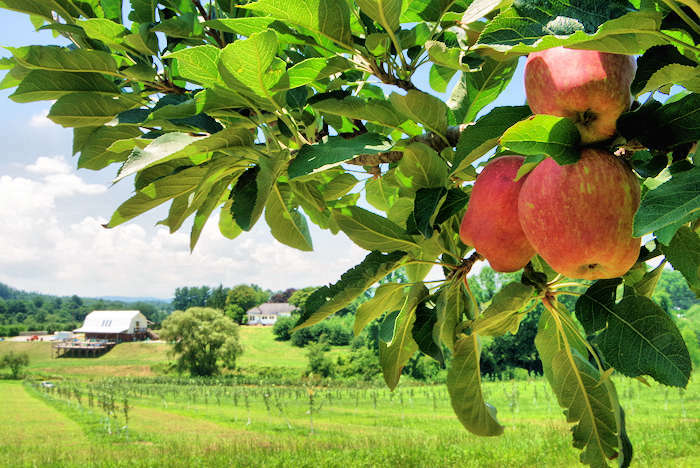 They are just 2.5 miles from downtown Brevard (read about more things to do). 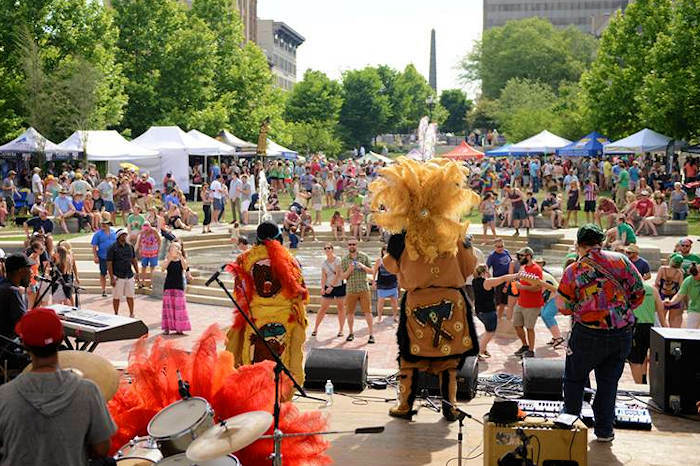 Downtown Asheville is about 33 miles away (45-minute drive). Take NC 280 from I-26 East (airport exit 40). 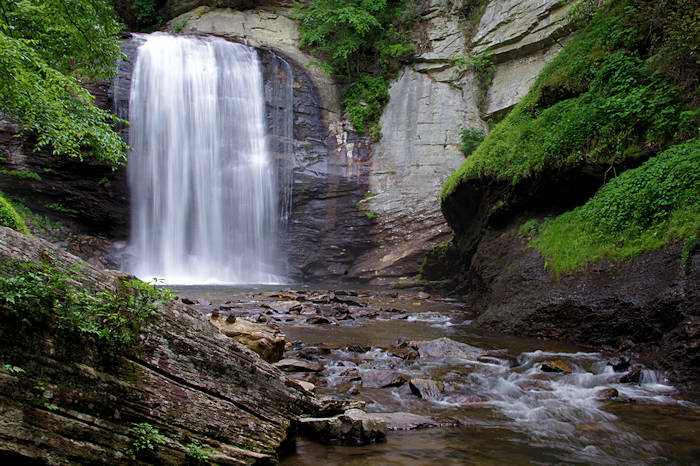 Drive about 16 miles to Pisgah Forest/Brevard and continue on US 276 South. Turn left onto Ecusta Road (at the Lowe’s). Turn right onto Old Hendersonville Highway when Escuta ends. Turn right a few hundred yard later onto Mountain Industrial Drive (at the Oskar Blues sign). The brewery is at the end of the road. 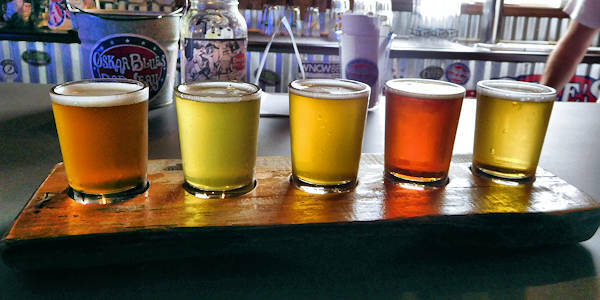 For more breweries, see our Beer Guide. Sierra Nevada Brewery is just 18 miles away. 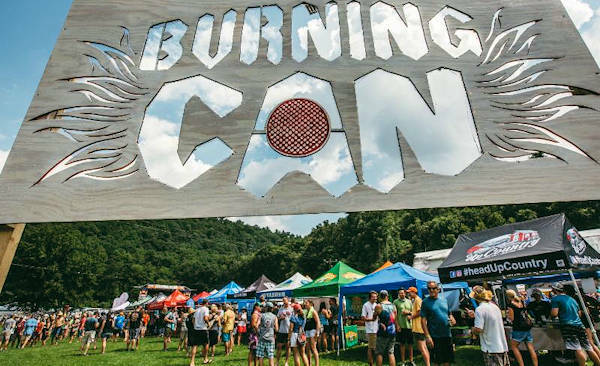 The weekend-long lawn jam on their scenic REEB Ranch (8 miles from the brewery) includes a beer fest with over 50 craft-canning breweries, internationally touring bands, camping, food trucks, and plenty of mountain sports - all based at the foot of DuPont State Forest. The festival cracks open Friday with live music by a fantastic party band. Saturday morning brings group mountain bike rides, as well as a trail run and a paddle on the French Broad River. The ranch even has a bike park with dual slalom course. Saturday afternoon's beer fest with more than fifty breweries with 200+ brews pouring at this can-only beer festival. Saturday night band keeps the fun going. Weekend Pass at $75 includes entry to Burning CAN each day - all live music plus beer festival with sampling. Friday night for music $35. Saturday for music and beer $55. Saturday music only $30. Tickets at gate $10 extra. Go to their website for details and tickets.